ST PETERSBURG, Russia, (CelebrityAccess) — Russian social media service VKontakte has been found to be a 'responsible information intermediary' after facing legal action from record labels including Universal Music Russia, Warner Music UK and Sony Music Russia who alleged that VKontakte was insufficiently responsive to DCMA takedown requests for copyrighted music. 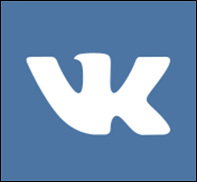 A St Petersburg found that VKontakte did not engage in the sale of music and does not receive any revenue from such action. The court acknowledged the range of preventative measures implemented by VKontakte to protect rights holders and noted the company's acoustic fingerprint technology that prevents users from uploading content that has already been deleted from the site. As well, the court added that the claimants' did not make reasonable efforts to prevent copyright infringements as they did not engage sufficiently with VKontakte before filing their claims. However, the court did order VKontakte to improve its existing technology to prevent copyright infringement. In separate legal actions, the labels had been seeking that the courts uphold their exclusive rights to music recordings and pay compensation for damages incurred. Their total claims amounted to 51 million roubles.